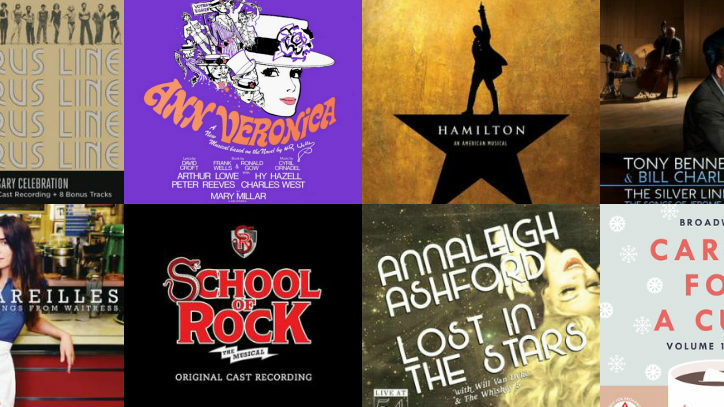 Record companies have been busy in the past few months releasing a wide range of musical theater–related recordings. Here are an even two dozen of the best ones that have come out, and with them, you’re certain to find a perfect gift for anyone in your life who loves show tunes. To start, there are two cast recordings for new musicals from the 2015–2016 Broadway season. First, there’s the stupendous two-disc set for Lin-Manuel Miranda’s phenomenal hit Hamilton. This cast album beautifully captures the excitement, energy, and genius musicality of the show about founding father Alexander Hamilton. Perhaps more important for anyone who has not had the chance to see the tuner yet, the recording masterfully allows a listener to feel as if he or she is experiencing it in toto. Additionally, the album allows both these listeners and those who have seen the show to savor the minute details of Miranda’s work, including references to musicals like Camelot and South Pacific. The other cast recording for a show that’s part of our current Broadway season is for School of Rock: The Musical. This show, based on the hit movie of the same name, has some of the most joyous and drivingly intense music that Andrew Lloyd Webber has written in a while. Listening to the album, it’s tough not to be pulled back to the days of Jesus Christ Superstar and the concept recording for Evita, particularly when the electric guitars wail. Matching the zestful tunes are Glenn Slater’s playful lyrics and the powerhouse performances from the adult leads, Alex Brightman and Sierra Boggess, and the incredible team of young performers. Just listen to “Stick It to the Man” or “Where Did the Rock Go?” to hear just how much fun this tuner is. Beyond these two recordings there are another five cast albums that could make great gifts, starting with A Chorus Line: 40th Anniversary Celebration. It’s hard to believe that this landmark musical turned 40 this year. Even more amazing is that this and the new landmark, Hamilton, premiered in the same Off-Broadway space, The Newman Theater at the Public Theater. To celebrate A Chorus Line’s anniversary, Masterworks Broadway has released this album that offers a fantastic-sounding remastering of the original cast recording plus eight tracks of composer Marvin Hamlisch and lyricist Edward Kleban working on some of the show’s iconic songs, as well as a couple that didn’t make it into the show. This one is a must for serious musical theater fans and a great gift for a younger generation, who might not have encountered this wonderful, groundbreaking tuner. If you’re looking for a gift for a musical fan who savors Broadway’s also-rans, you might want to turn to Broadway Records’ studio cast recording for Cry-Baby: The Musical. This 2008 tuner, based on the John Waters movie of the same name and featuring a score by David Javerbaum and Adam Schlesinger, only made it through 68 performances. After listening to the superlatively enjoyable album, you’ll wonder why it had such a brief run. The music has a fantastic 1950s pop and rock ’n’ roll vibe, and the lyrics are often laugh-out-loud funny. Add in appealing performances from James Snyder (who went on to star in If/Then), Elizabeth Stanley (who’s now on tour with Bridges of Madison County), and Tony winner Harriet Harris, and you get one swell listen. 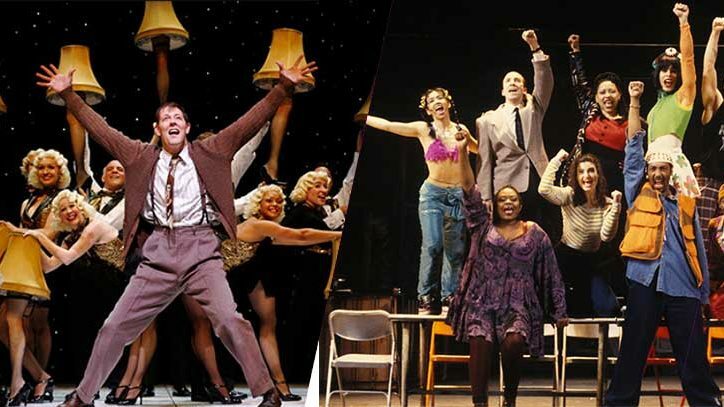 While these last two albums look back on musical theater history, there are another three that are looking toward its future, teasing listeners with the sounds of shows still to hit New York. To start, there’s the toe-tappingly twangy So Familiar. On this album from Grammy winners Steve Martin and Edie Brickell, you’ll find eight songs from their musical Bright Star, currently playing at the Kennedy Center in Washington, D.C., and slated to begin previews at the Cort Theatre on Broadway February 25. 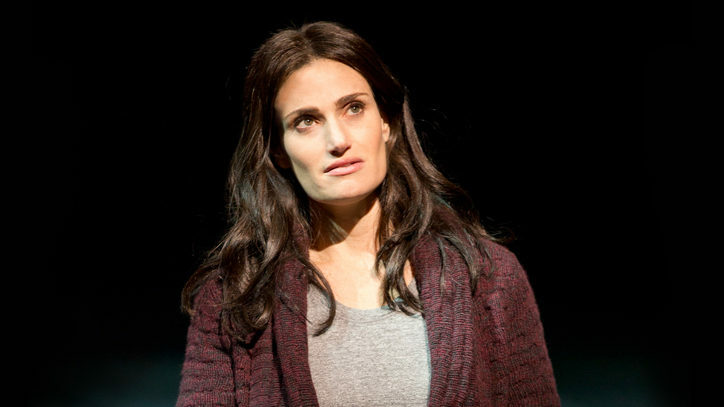 Another musical that will be hitting Broadway this spring is Waitress, where the tunes are by singer-songwriter Sara Bareilles (also the author of the bestselling memoir Sounds Like Me). She’s recorded a dozen of her show’s numbers on What’s Inside, and it’s an infectious album collection of pop, rock, and folk sounds. It’s a great preview of a show that will star Tony winner Jesse Mueller and hit Broadway’s Brooks Atkinson Theatre in March. The new musical The Light Princess does not have a Broadway slot yet, but this tuner by eight-time Grammy nominee Tori Amos has gotten a production in the U.K. and a lavish cast recording that brings Rosalie Craig’s Olivier Award–winning performance in the title role into listeners’ earbuds or speakers. Amos’s music has both a pop vibe and an ethereal quality to it, and it’s nearly impossible not to get sucked into the mystical world of this musical fairy tale as the two-disc album plays. If you’re looking for other multiple-disc sets to give to the musical fan in your life this holiday season, you can’t go wrong with Harbinger Records’ John Kander: Hidden Treasures — 1950–2015. This two-CD, 49-track compilation, filled with a bevy of previously unreleased demo recordings, provides an amazing aural portrait of the man behind such musicals as Flora, The Red Menace; Cabaret; Chicago; Kiss of the Spider Woman; and last season’s The Visit. Examples of the gems on this album are a demo of the original version of “Theme from New York, New York” and “If,” a number cut from Chicago. The three-CD set Liaisons: Re-Imagining Sondheim From the Piano is probably the most inventive of the musical theater recordings of 2015. It features pianist Anthony De Mare playing 37 variations on Sondheim melodies that have been written by some of the world’s most well known composers, people including Steve Reich, Wynton Marsalis, Duncan Sheik, and Nico Muhly. These new compositions tease the ear and open up Sondheim’s work in genuinely exciting ways. You’ll find more Sondheim, and this time with vocals on another Harbinger Records release, Good Thing Going. On this beguiling album, cabaret artist extraordinaire Steve Ross’s perfect phrasing and gorgeous work at the piano lend new colors to some of the great songwriter’s best-known tunes, including “Send in the Clowns” from A Little Night Music and “Broadway Baby” from Follies. Superstar performer Tony Bennett brings an old-school jazz vibe to another composer’s work with The Silver Lining: The Songs of Jerome Kern. After Bennett’s showier efforts with Lady Gaga on Cheek to Cheek, this album finds him offering up more intimate stylings of classics like “All the Things You Are” and “The Way You Look Tonight” while jazz pianist Bill Charlap supports Bennett’s vocals with some superb keyboard variations. Contemporary jazz stylings are featured on Many a New Day, a superlatively satisfying revisitation of Richard Rodgers and Oscar Hammerstein’s songs from singer Karrin Allyson, pianist Kenny Barron, and bassist John Pattucci. From a sultry “I’m Just a Girl Who Cain’t Say No” to a deeply haunting “We Kiss in a Shadow,” each track on this album dazzles. One final composer-specific recording to consider for the folks on your gift list is the Paragon Ragtime Orchestra’s Irving Berlin: This Is The Life. This remarkable ensemble plays orchestrations and arrangements that are reassembled to match what people would have heard at the dawn of the last century. The result is a buoyantly vibrant album, with gems including “A Pretty Girl Is Like a Melody” and “Alexander’s Ragtime Band.” It is a genuine treat. Other vocalists’ albums that would be great gifts this year include a pair of discs from Broadway Records’ Live From 54 BELOW series, albums that preserve concerts from the posh speakeasy-like cabaret venue just underneath Studio 54. Two particular favorites are Lost in the Stars, which preserves a concert that Tony winner Annaleigh Ashford gave; and What About Today? which captures a performance from Tony nominee Melissa Errico. Both women sound marvelous on their respective albums, and each one showcases the singer’s remarkable ability with a diverse range of material. Ashford offers up everything from “One Night Only” from Dreamgirls to the melancholy Kurt Weill–Maxwell Anderson song that gives the album its title. Errico also takes on some pop (Donna Summer’s “Last Dance”) and offers a bevy of show tunes, including “Meadowlark” from The Baker’s Wife and “Show Me” from My Fair Lady. As you shop, also keep in mind Songs for You, a studio album from Telly Leung, who’s currently starring in Allegiance on Broadway. This snazzy-sounding album showcases the singer’s compelling vocal stylings in a variety of songs, ranging from the Billy Joel hit “New York State of Mind” to a nifty R&B-infused rendition of “I Am What I Am” (from La Cage aux Folles). Finally, these two albums are for anyone looking for records that are holiday-specific. First off, there’s the annual Carols for a Cure, a two-disc set featuring the companies of shows from Broadway and beyond, each delivering one track. The set raises money for Broadway Care/Equity Fights AIDS, and among the standouts on this year’s set are: a understatedly elegant “Joy to the World” that evokes the world of 18th century America from Hamilton; the goofy “Happy All the Time” from the cast of Elf; and the delicately folky “Home With You” performed by the ensemble of Fun Home. Also keep in mind The Hope of Christmas, a new recording from Tony nominee Ann Hampton Callaway. It’s a warm and lightly jazzy collection of seasonal tunes, where lyrics are all by William Schermerhorn and melodies are by a variety of writers, including Michael Feinstein and Callaway herself. This one’s a contemporary beaut and would make a great present.